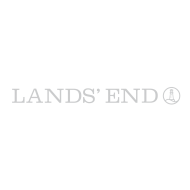 For a real personal shopping experience, Lands’ End used a SS40 recycled shipping container and a dedicated truck driver for the tour that stopped in 4 different cities. 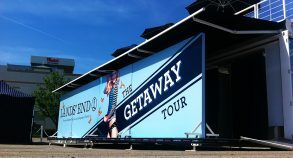 This same SS40 unit has also traveled to 6 different cities within 3 weeks the year before. 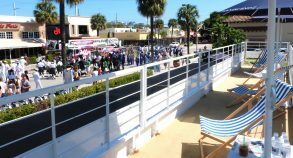 The unit interior was designed to look like a beach house with its white wooden finish flooring throughout the interior, branding and sand dunes. 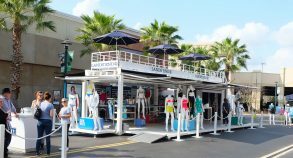 The unit featured custom walls on wheels for more merchandising options, changing rooms allowing consumers to try different clothes, shelving or mannequins creating this nice and mobile retail space. 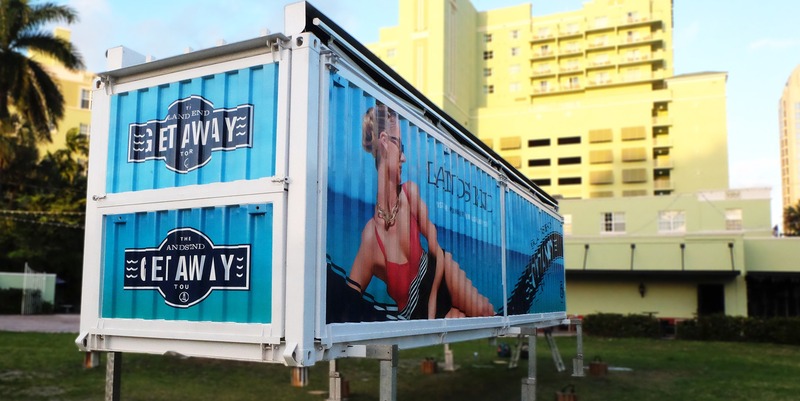 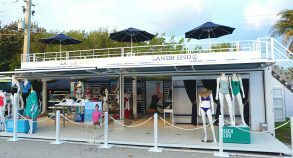 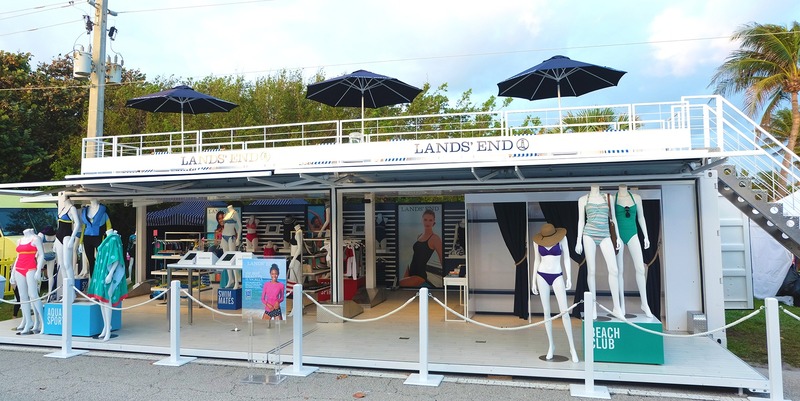 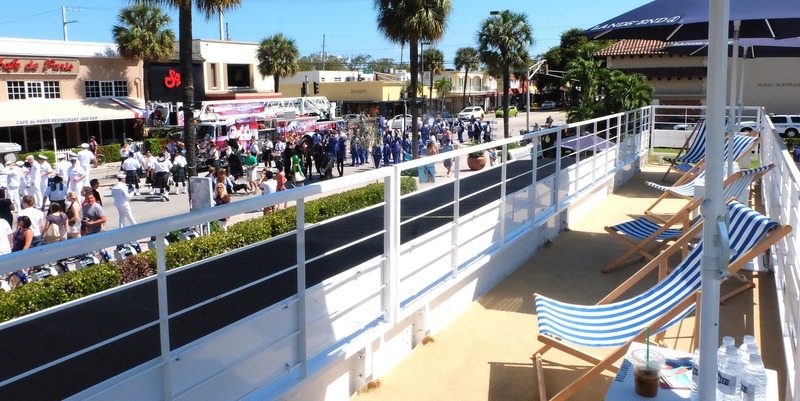 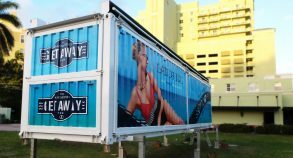 Thanks to one of a trendy Steel Space Concepts’ container, Lands’ End and its beach house has brought all the beneﬁts of a personal shopping experience like that of a high-end swimsuit boutique. 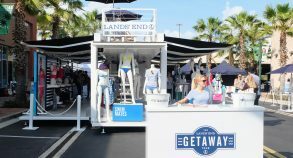 With each #GetawayTour one-on-one experience, the Lands’ End professional swim ﬁt experts took measurements and promise to ﬁt women in a perfect-ﬁtting swimsuit. 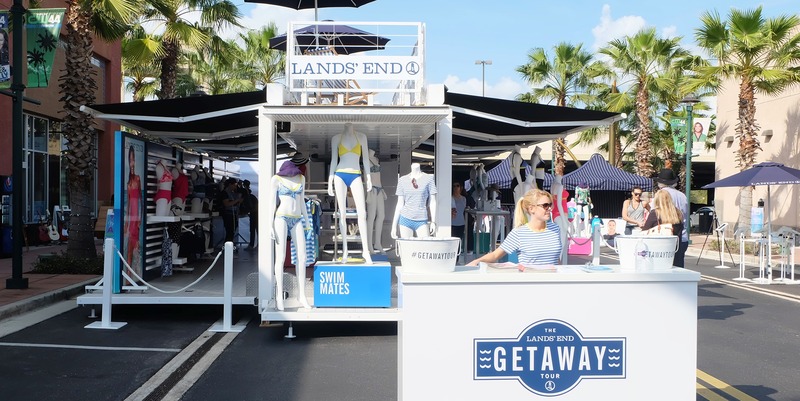 After ﬁtted to the right swimsuit style, all swimwear could be ordered on site at the Lands’ End #GetawayTour boutique or online, via iPad, on their website.